from a tablet in the church where Captain John Smith is buried. 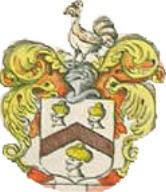 Challenge: do some research and find out how this farmer’s son earned a coat of arms and why his coat of arms has three heads on it. A tribute to Captain John Smith BY SOLDIERS THAT SERVED WITH HIM. “Thus we lost him that, in all his proceedings, made Justice his first guide, and experience his second; ever hating basenesse, sloth, pride, and indignitie more than any dangers; that never allowed more for himselfe than his souldiers with him; that upon no danger would send them where he would not lead them himselfe; that would never see us want what either had, or could an means get for us; that would rather want than borrow, or starve than not pay; that loved actions more than words, and hated falsehood and cousnage worse than death; whose adventures were our lives, and whose losse our deaths.” written by Richard Potts & William Phettiplace fellow soldiers and colonists who wrote this and other fine tributes to Smith in the 1612 book, The Porceedings of the English Colonie of Virginia. An adventurer, discoverer, writer, and the best founding father of this country. 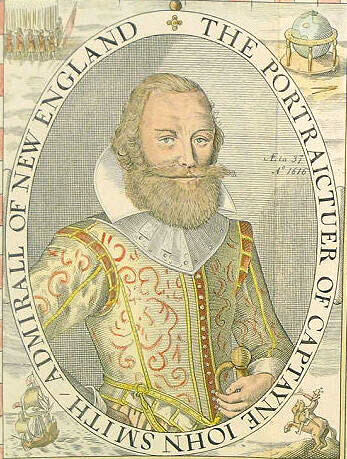 Captain John Smith risked his life, his reputation and property to establish a colony in America. He contributed a great deal to the creation and survival of the English Colony in America which is the birthplace of the United States. It is great to have someone with such good character as Smith as a founder of this great country. The authors of The Spirit of “Seventy Six” list traits they identify with the founding fathers of America such as ” he is independent, he is impatient of discipline, equalitarian,has little patience with those who claim to be his superior,is ambitious and avaricious, and much given to speculation an getting ahead. He is literate, takes an active part in politics and carries into camp the habits of self-government. He does not like fighting for it’s own sake, but fights well when he as to; he has little use of military hierarchy and bucks like a colt against taking orders. He is ingenious and practical, prefers a stone wall to an open field, and a timely retreat to a foolhardy advance. He is young and tough and survives hardships and diseases that would wipe out his more vulnerable descendents; he live simply and unaffectedly. He is on the whole cheerful and good humored, decent and honest, and commits few crimes against persons (unless they are Indians) . I identify all of these good traits above in Captain John Smith, But John Smith has exceptionally outstanding traits not exhibited by other American Forefathers. Smith was fair with the Indians and committed no crimes against them. Smith hated slavery and would never have stood for it. Smith was not avaricious (will do anything for money) but exhibited the most kindness in every way. When he was awarded a giant amount of money from a case of false accusation, Smith donated this to the colony. That Smith bucked the system when he received poor orders is a certainty. He wrote back to the investors of the London company that there was no Gold, that more laborers were needed, etc. The investors who were trying to sell the stock did not want to hear this. The London Company investors would eventually act and follow all of Smith’s recommendations. There have been many books written about Captain John Smith. Unfortunately, many authors have made gross errors in fact. Some factual errors seem to be their desire to generate controversy , others because they have not done enough research themselves. Arber’s book contains most if not all of the writings of of Captain John Smith. Below is a list of writing’s of Smith. John Smith’s writings of Virginia and New England are written in a very remarkable, straightforward, and a direct narrative style. Unfortunantly his diaries are lost but his books remain. This book examines the character of Captain John Smith. This book is not a saga, nor meant to be a biography, but it is an examination of Smith’s life, his relationships with friends and enemies. It also includes explanations of errors written about Smith by authors of the past. This author has done a complete job in this book, leaving out nothing. I realize that this author (Lemay) has come to admire Csaptain John Smith as I do, as one of the most interesting and awesome individuals who has lived. Captain John Smith by Bradford Smith, 1953–A very good read about Captain John Smith. Bradford Smith in 1968 donated a window of John Smith in the church where Smith is burried, St. Sepulchre-without-Newgate in London. Captain Smith is shown in the central panel with his navigational instruments around his feet. The outer panels show his patrons, Robert Bertie and Samuel Saltonstall. Above are the three little ships in which the pioneers crossed the Atlantic. Captain John Smith led the most interesting and productive life of adventure and discovery of anyone in history. An example of Smith’s Character is found in a pep talk delivered by Captain John Smith to his men when 12 days into exploring the Chesapeake bay in an open boat, when their bread was spoiled, the men tired and wished to turn back. The name of captain John Smith will ever be associated with the foundation of Virginia. I wish to make you aware of this great man. As a figure in the history of this country and it’s creation, he should be known and admired. He practiced the highest morals of personal character throughout his life. His decision making in difficult situations is inspirational. John Smith was a self-made man. A farmers son who was a tenant of Lord Willoughby. John Smith knew the Willoughby’s sons. He undoubtedly heard the ballad of Lord Willoughby’s exploits and was influenced by it. After the death of his father when he was 16, left his English homeland to seek a life of adventure with honor. The life he led in his latter teens and early adulthood was nothing less that awesome. If you would indulge me to present a colorful analogy, Captain John Smith’s life of adventure in Europe reminds me of Russell Crow’s character (Maximus Decimus Meridius) in the movie Gladiator, but on steroids. Captain John Smith led an amazing life of adventure in Europe before becoming a participant in helping assemble the venture that would later become Jamestown, the first permanent English settlement, the birthplace of our country. 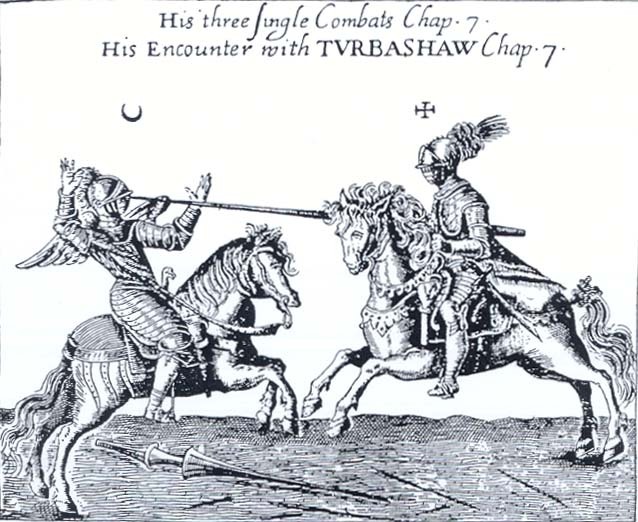 Below, Captain John Smith gets to play Knight as he defeats the first of three Turks in single combat in front of tens of thousands of fellow soldiers and Turks in the walled city . Captain John Smith deserves better than to be maligned as he has by some authors, who have incompletely read the writings of his life, or simply formed an opinion that none could have lived such an adventurous life. Others picking up on these negative writings have perpetuated these erroneous conclusions. When Captain John Smith was horribly injured aboard a ship at Jamestown, some of the factional element who feared what Captain John Smith might say about them on his return to England, made a plan to kill him. One entered his cabin aboard ship with a gun but did not complete the plan (“their heart did fail them” as Captain John Smith recounted later). Captain John Smith’s soldiers offered to kill those who made the attempt, but Captain John Smith would not have it so. Like Captain John Smith’s soldiers who offered to exterminate his enemy’s who sought to kill him, I offer herein to defend him. I will defend him with my pen (or rather words created on a computer keyboard). I hope to dispatch their disparaging words to the graveyard. I hope those who misinterpret and write falsehoods see the error of their ways and become supporters of Captain John Smith. Smith’s best defenders are those who served with him and soldiers and colonists. Captain John Smith developed a love for America. It was his child. Smith had amazing thoughts on slavery in America before there was any slavery. Smith had been a slave to the Turks after being wounded on the field of battle, captured and sold into slavery. Captain John Smith was the model of a true Virginia gentleman. Smith’s forbearance not to retaliate against the Indians after the many attempts on his life is unprecedented in American history. Of those leaders in charge, before or after Smith at Jamestown, Captain John Smith would be the best friend the Indians ever had. 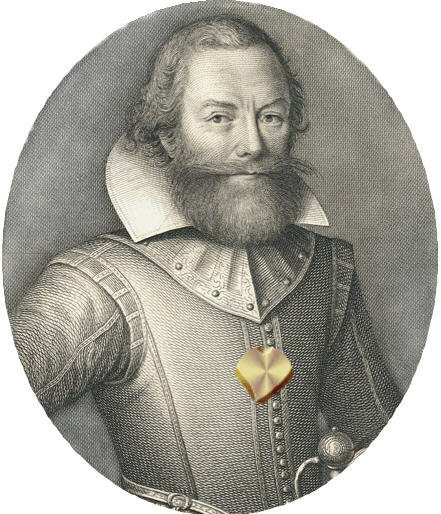 John Smith saved the Jamestown Colony. In the early days of Virginia, that colony depended for its life and preservation on his firmness and courage. Not only was he, in his own person, an adventurer, explorer and settler, as well as a writer and recorder, but he had an intense belief in the necessity to this country of possessing a powerful navy. Reading Captain John Smith’s works gives one insight into his highly moral character and desire to do good. Please read some of my favorite of Smith’s thoughts, his philosophy of life which I have recorded for you. Smith apologized for his ability as a writer on many occasions but his writing was among the best of the times. John Smith, this farmers son, would make amazing maps. He obviously was a quick study of things of interest which was almost everything he encountered. From his base at Jamestown, Smith would map this the Chesapeake Bay making an amazingly accurate map under difficult and harrowing circumstances. After the mapping expedition, Smith would become the colony’s president, service a great year sustaining the colonists and keeping them alive. But near the end of his year as president, Smith would be horribly injured by ignition of gunpowder on his abdomen while sleeping. He would have to return home. After recovering back in England, Smith would later map the Northern coast of Virginia naming it New England. He would become a writer of books. Captain John Smith would make awesome maps. If you wish to purchase a copy of this map, click the link below. 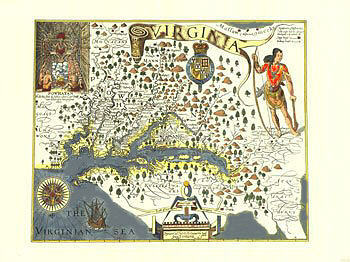 Smith’s map of Virginia was first published in 1612. It designates the locations of over 200 American Indian villages. The map was produced from notes made by Smith when he surveyed the Chesapeake during his 1608 voyage of exploration and his earlier explorations of nearby rivers. His map is a remarkably accurate considering that he was using just a compass and visual sightings from a 30-foot open boat, as pictured below. Below are statements regarding Smith’s map by E. M. Sanchez-Saavedra in “A Description of the Country, Virginia Cartographers and Their Maps 1607-1881, published by the Virginia State Library Richmond 1975. Smith’s map was perhaps the most influential piece of cartography in Virginia history. For the first three quarters of the seventeenth century, the topography of Virginia was known to the outside world only through maps based on Smith’s work. Smith’s map stands apart as a relatively scientific document. (as late as 1873 it was used as a primary source in the Virginia-Maryland dispute). Smith’s map is an amazingly accurate depiction of Virginia’s coastlines, watercourses and landmarks. Perhaps it’s most amazing feature is it’s forthright distinction made between those areas based on Smith’s personal observation and those derived from hearsay accounts from the Indians. Smith, a true man of the Renaissance, was aware of the difference between legend and reality, and he was serious enough about the accuracy of his map to express the limits of his explorations. By stating that “to the crosses hath bin discover’d what beyond is by relation,” he elevated his work well above that of many contemporaries, who placed mythical lands and waters at random throughout their creations. This map is available for purchase at Jamestown Settlement, Historic Jamestown or from me (email me). Contact me if you wish to purchase copies of Smith’s map of the Chesapeake Bay. black and white Chesapeake Bay map is $6. Please add plus $4 shipping (no extra cost for combined shipping in same tube). Smith’s map of Virginia’s northern coast which he himself would name New England. 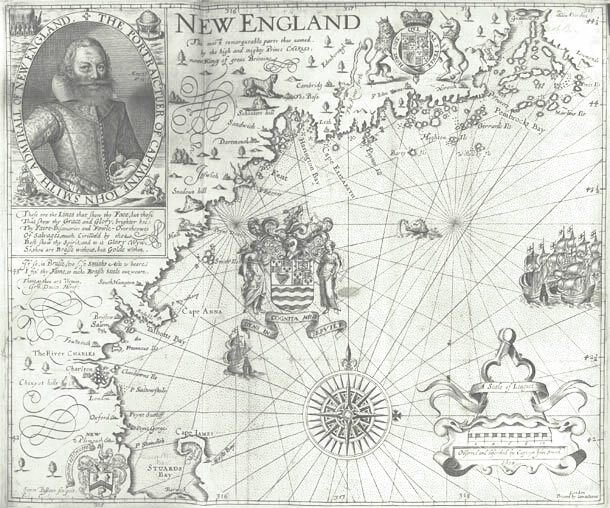 Captain Christopher Jones (captain of the Mayflower) could rely on the map made by Captain John Smith who had published A Description of New England in 1616. (Smith’s map) was made after a detailed exploration of the coast. It was the first to use the name ‘New England’, and it was on this map that the site of the Pilgrim Fathers’ later settlement was named Plymouth. John Smith’s writings of Virginia and New England are written in a very remarkable, straightforward, and a direct narrative style. It is presumed he recorded events in a diary as he lived them. This we do know he did when captured by pirates. It is our misfortune that his diaries were lost. “Smith’s sea experiences deserve a place in the literature of the sea above most men”. 1630 The True Travels, Adventures, and Observations of Captaine John Smith in Europe, Asia, Africa, and America… from 1593 to 1629. Smith provides an account of his early life and his subsequent adventures in a fascinating, though unreliable, autobiography. The Jamestown colony was the birthplace of America. Historians agree Captain John Smith was the savior of the colony. It is logical to deduce that since Pocahontas saved Captain John Smith’s life, that makes her the savior of the colony. Just think, we oue our country to a woman. In honour of his God and Christendom? Their heads and lives, Types of his Chivalry? Which else for Necessaries must have dy’d. Interr’d in earth, a Prey to Worms and Flyes? John Smith, a farmer’s son, grew up playing with the sons of Lord Willoughby who lived near by. He certain would have been awed as a youth by Lord Willoughby’s tales of adventure. Below is a poem that was circulating in England about the exploits of Lord Willoughby that John Smith as a youth would have heard many times. It is my opinion that the Willoughby’s would have the greats influence on John Smith’s character and life. I’le be the foremost man in fight, says brave Lord Willoughby. They fear’d the stout behaviour of brave Lord Willoughby. The company believed too much of their own hype of their stock venture and did not prepare themselves well enough. The did provide high quality food and beer, but did not plan for the delay the colonists would incur when starting of sitting in a rolling ship for 6 weeks waiting for fair winds. The Company did not choose persons for the endeavor well. Too many soft-handed sons of squires, careless laboreres, etc. Smith would sum it up well later “too many gross errors have beene comitted”. They sent too many gentlemen and too few tradesmen. A distinction in classes caused problems. The upper class individuals felt they did not have to work . That was the perception they had gotten from the company. The company set up a group of seven counciulors to oversee the venture on site. But this led to infighting. A single leader with good leadership skills was needed. That person could be found in Captain John Smith,( the farmers son). But Smith was away’s having to answer to other councilors who were very difficult to say the least. The Company over hyped the venture making it seem to those signing up to go that gold would be there for the taking . The colonists were very disappointed to find otherwise. A poet, Michael Drayton, came down to the docks at Blackwall December 20th 1606 to see the colonist off in good form, to help get them to peak motivation. After all , it would be they who would be making the company money. Below are some verses of a poem he read the colonists as they were preparing to board the ships. Company made promises they did not keep in regards to keeping their labor force re-supplied. The colonists were very disappointed to find that they were were put on very short and poor rations when the food ran short ( partly due to the voyage taking longer than anticipated). The colonists found that some in charge seemed to eat better than others. The colonists were very disappointed to find that they faced hostile Indians who were attacking almost daily. The tradesmen colonists had to put in allot of labor to build a fort while the gentlemen looked on. The common tradesman colonists were being ordered around and made to do heavy work, something they did not expect. The lower class found that gentlemen got preferential treatment and did not have to work as much as the laborer,r though both signed the same agreement and were promised the same share portions. The colonists found that if they offended certain persons in charge, they could get into allot of trouble, maybe whipped, maybe hung. The beer ran out and they were being forced to drink water from the river and later contaminated wells. They were not prepared to encounter disease during the summer months. By December 1607, approximately 60% of the colonists were dead from either Indian arrows or disease. This turned into a survival situation for the colonists. After the fort was constructed for protection, food was necessary. Captain John Smith mainly took on the job of supply and was successful. But, Smith’s job was made difficult by factions in the fort who where were jealous of his success, who wished to leave and were prevented from doing so by Smith, who sought power for themselves. But the company still insisted there was gold and started treating their workers as if they were shirking their duties. The said they would starve the colonists if they did not get enough return to pay their way. The company had spend about L 20/colonist. They told Captain Newport not to bother coming back to England if he did not bring gold, or discover the water route to the Far East or find the lost colonists from Roanoke. The colonist found Gold, they were starving, were having to work like crazy to pay their charge (pay back the company for what they are spending to send them there), like cutting trees into clapboard, making tar and pitch from sap, sending back sassafras’s, pelts, etc. They wantet to go home but they signed up to work for 5 years. They are lucky to just see another day alive. Most of those that signed up for this great adventure would find hardship, starvation, Indian arrows and death. But it was not that the company was evil. They had to answer to their stockholders for the failure to earn money . They were under pressure to perform, to be successful. The Company’s failure was in miscalculating what would be needed, not taking into account possible things that could go wrong, that could affect the success of the mission. The tents they sent were second hand and in poor condition. 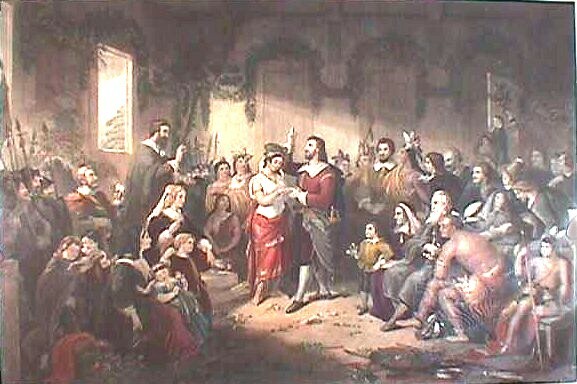 In their spare time, the colonists were directed to convert the Indians to be Christians and were criticized for not do so. Smith said ” that much they blamed us for not converting the savages when those they sent us were little better if not worse” . Ratcliff– installed Archer as council member without authority to do so and against the rules and fellow councilor Martin’s objection. Ratcliff prosecuted and aided Archer’s designs. Wingfield– weak leader too concerned with class and his own pot of food. Was removed as President of the council, confined aboard the ship, ordered to pay restitution to Smith for falsely accusing him of mutiny on the trip over, and was sent back to England. Gabriel Archer– the always ambitious deceitful author of factions. Came up with a biblical reason for ordering Smith to be hung because he lost some men on a trading mission. (the loss of three men due to an ambush). George Percy– was president during the starving time when the colonists were reduced from 500 to less than 60 in 7 months, due to Indian arrows if they left the fort, and starvation (lack of ability to gather food) if they stayed in the fort. Percy apparently suffered less during this starvation time than most others. This is probably because as President, he had the authority to kept a well stocked table for himself. August 9th, 1910, Percy led a surprise attack on a village. He did agreed to the murder of the chief of the Paspaha ‘s children and ordered the Queen slain. Lord Delaware’- author of scorched earth policy. Ordered raids of the nearby indians. Sir Thomas Dale- ordered and led raids of the nearby indians. Lord Delaware’s arrival saw the changed the policy of trying to keep the peace with the indian to surprise attacks in retribution for past killings of the colonists by the Indians. Delaware’s was above being rebuked by the company management back home. He ordered attacks. This would set the policy henceforth for the next few years. After Smith returned to England, and Lord Delaware arrived and pursued a scorched earth policy. Percy said Argyll, at the direction of Lord Delaware, led an attack on the village of Wariscoyans. But he says , the Indian being warned, had fled and the village houses and corn was torched. As a warning to others, Percy said, Lord Delaware ordered the head of an Indian visiting the fort to be cut off after it was presumed he was a spy. Percy said Sir Thomas Dale led 100 men against the Nancemondies where he had many skirmishes. Below I have printed the Instructions of the London Company for the Virginia Company for 1606 and a portion of their instruction for 1609.Notice how the Instructions from the Virginia Colony change in how they instruct the colonists to deal with the natives. in 1609 the instructions are : you must remove from them (steal) some children and make them prisoners and to make Powhatan a prisoner or make him and other chiefs of tribes pay tribute. As we doubt not but you will have especial care to observe the ordinances set down by the King’s Majesty and delivered unto you under the Privy Seal; so for your better directions upon your first landing we have thought good to recommend unto your care these instructions and articles following. But if you choose your place so far up as a bark of fifty tuns will float, then you may lay all your provisions ashore with ease, and the better receive the trade of all the countries about you in the land; and such a place you may perchance find a hundred miles from the river’s mouth, and the further up the better. For if you sit down near the entrance, except it be in some island that is strong by nature, an enemy that may approach you on even ground, may easily pull you out; and if he be driven to seek you a hundred miles [in] the land in boats, you shall from both sides of the river where it is narrowest, so beat them with your muskets as they shall never be able to prevail against you. And to the end that you be not surprired as the French were in Florida by Melindus, and the Spaniard in the same place by the French, you shall do well to make this double provision. First, erect a little stoure at the mouth of the river that may lodge some ten men; with whom you shall leave a light boat, that when any fleet shall be in sight, they may come with speed to give you warning. Secondly, you must in no case suffer any of the native people of the country to inhabit between you and the sea coast; for you cannot carry yourselves so towards them, but they will grow discontented with your habitation, and be ready to guide and assist any nation that shall come to invade you; and if you neglect this, you neglect your safety. When you have discovered as far up the river as you mean to plant yourselves, and landed your victuals and munitions; to the end that every man may know his charge, you shall do well to divide your six score men into three parts; whereof one party of them you may appoint to fortifie and build, of which your first work must be your storehouse for victuals; the other you may imploy in preparing your ground and sowing your corn and roots; the other ten of these forty you must leave as centinel at the haven1s mouth. The other forty you may imploy for two months in discovery of the river above you, and on the country about you; which charge Captain Newport and Captain Gosnold may undertake of these forty discoverers. When they do espie any high lands or hills, Captain Gosnold may take twenty of the company to cross over the lands, and carrying a half dozen pickaxes to try if they can find any minerals. The other twenty may go on by river, and pitch up boughs upon the bank’s side, by which the other boats shall follow them by the same turnings. You may also take with them a wherry, such as is used here in the Thames; by which you may send back to the President for supply of munition or any other want, that you may not be driven to return for every small defect. You must observe if you can, whether the river on which you plant doth spring out of mountains or out of lakes. If it be out of any lake, the passage to the other sea will be more easy, and [it] is like enough, that out of the same lake you shall find some spring which run[s] the contrary way towards the East India Sea; for the great and famous rivers of Volga, Tan[a]is and Dwina have three heads near joynd; and yet the one falleth into the Caspian Sea, the other into the Euxine Sea, and the third into the Paelonian Sea. And how weary so ever your soldiers be, let them never trust the country people with the carriage of their weapons; for if they run from you with your shott, which they only fear, they will easily kill them all with their arrows. And whensoever any of yours shoots before them, be sure they may be chosen out of your best marksmen; for if they see your learners miss what they aim at, they will think the weapon not so terrible, and thereby will be bould to assault you. You must take especial care that you choose a seat for habitation that shall not be over burdened with woods near your town; for all the men you have, shall not he able to cleanse twenty acres a year; besides that it may serve for a covert for your enemies round about. Neither must you plant in a low or moist place, because it will prove unhealthful. You shall judge of the good air by the people; for some part of that coast where the lands are low, have their people blear eyed, and with swollen bellies and legs; but if the naturals he strong and clean made, it is a true sign of a wholesome soil. And seeing order is at the same price with confusion, it shall be adviseably done to set your houses even and by a line, that your street may have a good breadth, and be carried square about your market place and every street’s end opening into it; that from thence, with a few field pieces, you may command every street throughout; which market place you may also fortify if you think it needfull. Ambushes attempted on Captain John Smith . Who Shot JR ? Who was Jr? —-we don’t know yet who shot him but JR’s idenity is revealed . Questions about Captain John Smith . Timeline of History at Jamestown . Did Captain John Smith love Pocahontas? He propably loved her as a friend. 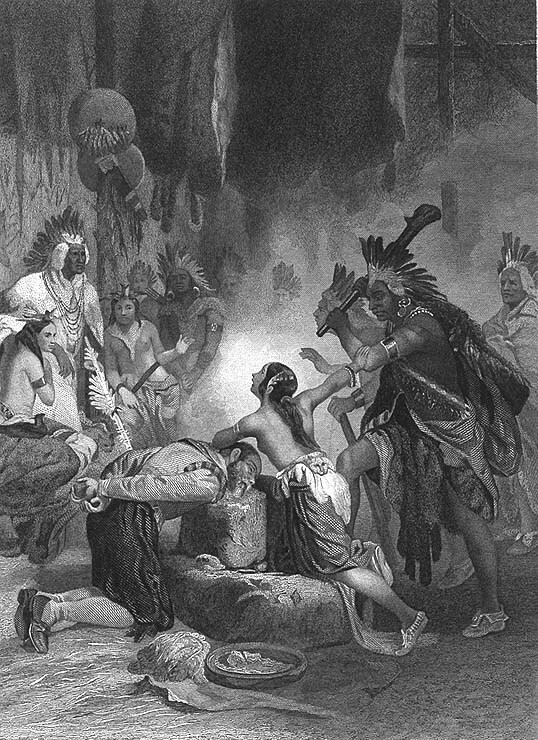 Smith estimated that Pocahontas was 11 years old when she saved him from having his brains beaten out with clubs in late December 1607. Pocahontas, when seeing Captain John Smith in England some 10 years later said to him “you shall call me child and I will call you father”. How did Captain John Smith die and how old was he? Captain John Smith died at 51 years old. It seems that the end cam rather quickly. He was very weak the last days of his life and could barely write. Who did Pocahontas marry? 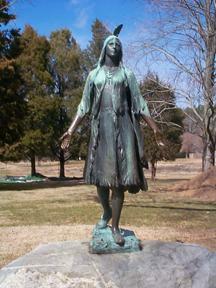 Pocahontas married Master John Rolfe in 1614. When did Pocahontas die? March 1617 at 21 years old. 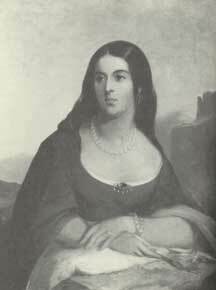 She had one child, named Thomas Rolfe. 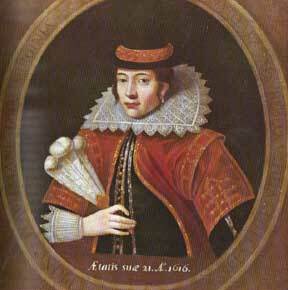 Pocahontas was married to an Indian prior to marring Master Jophn Rolfe. 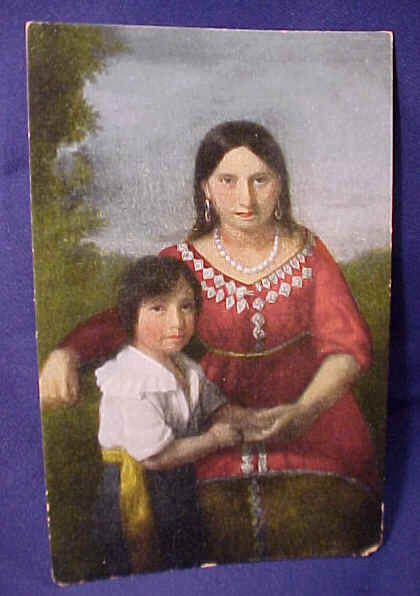 Pocahontas apparently had married an Indian “pryvate Captayne” named Kocoum. The New World movie is a fictional drama of the birth of our country. It’s best features is it’s authentic looking costumes, fort, natives and weapons which help give the viewer the feeling of what the land looked like when the colonists arrived. A second value is that it introduces viewers to the events that took place (thought inaccurate and flawed). Unfortunately, the producers have seen fit to distort the history of Jamestown, events concerning Captain John Smith and also Pocahontas. Come to Jamestown and hear the true story. It is awesome. Check back to see new additions . I would like to hear any comments visitors have about my pages of Captain John Smith or Pocahontas. Please click on the email envelope below to send me an email.